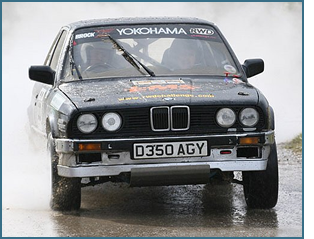 Langworth Motorsport have a number of cars for hire either for individual rally events or for full Championships and Challenges. We can supply everything you need, whether you are a beginner who just fancies having a go or a serious competitor who wants to do a full season. All our packages are tailored to suit your needs and your pocket, from full Arrive and Drive packages to just a basic car and back-up. A Full Back-Up Service for single events or championship series. particularly suitable for BMW Rear-Wheel Drive Challenge.